How does Google deal with Australian law enforcement requests for data? Examining electronic evidence is often a critical part of a criminal investigation. Google receives requests for user data from government agencies investigating criminal activity, administrative agencies, courts and others. These requests are made from all over the world, including from Australia. How do governments access Google data? Governments do not have any kind of “back door” access to data, and are required to submit a request for access to Google directly. Each request is reviewed by the company’s legal team, to ensure that it satisfies legal requirements and Google’s policies. How does Google respond to requests from government agencies? Generally speaking, for Google to produce any data, the request must be made in writing, signed by an authorized official of the requesting agency and issued under an appropriate law. If a request is overly broad, Google will seek to narrow it. 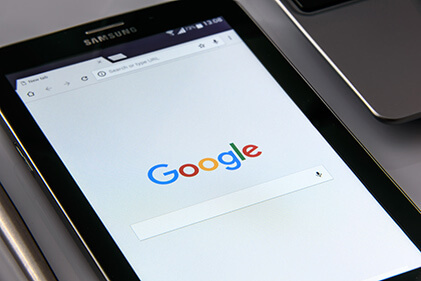 For example, a party requesting all information associated with a Google account may be asked to limit this request to a specific product or service. How can the Australian government obtain Google data? Using Mutual Legal Assistance Treaties (MLATs), Australian government agencies can work through the U.S. Department of Justice to gather evidence for criminal investigations. If U.S. law is implicated in the investigation, a U.S. agency may open its own investigation and provide Australian investigators with evidence gathered. Assuming all relevant legal processes have been followed, Google may provide information such as name, email addresses, recent sign-in IP addresses and associated time stamps. What is a mutual legal assistance treaty (MLAT)? An MLAT is a treaty between countries that defines how each country will help each other in legal matters such as criminal investigations. Through an MLAT, the Australian government can ask the U.S. government for help in obtaining evidence from entities in the U.S., including companies like Google. If the U.S. government approves the request, Google would respond to it. Is an MLAT the only way the Australian government can get information from Google? No. There are various other scenarios in which the Australian government may obtain information from foreign companies such as Google. Examples include joint investigations between U.S. and Australian law enforcement, and emergency disclosure requests, where Google believes that disclosing information is necessary to prevent death or serious harm to someone. Nyman Gibson Miralis specialise in international criminal investigations, often involving mutual legal assistance and treaties. Contact us if you require assistance.